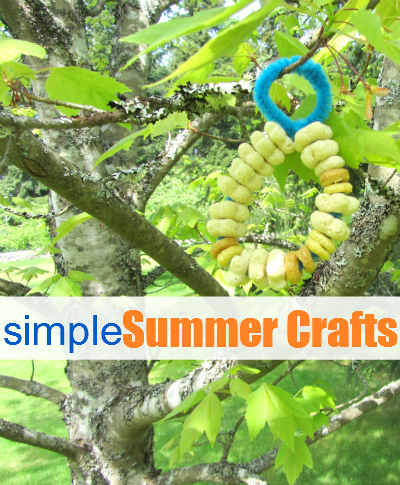 Today we are starting a new series of Simple Summer Crafts most of these crafts won’t be ground breaking and many will be ones you probably did at summer camp or girl scouts growing up. What we aim to do with this series is to jog your memory or introduce you to easy crafts for kids that can be done quickly between family vacations ( or on family vacations) , summer camp schedules and picnics. 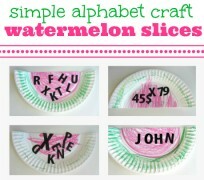 We know you are busy so these are frugal easy crafts that are still fun and educational. 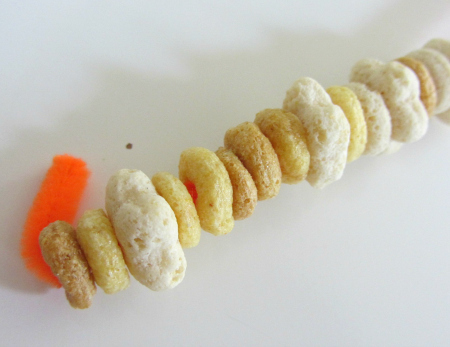 This first craft was made because I found old cereal in the pantry and didn’t want to throw it away, so we made these instead. Gather your materials. You will need some pipe cleaners and cereal with holes in it. I wasn’t expecting my daughter to have the patience but as long as I held the pipe cleaner for her she threaded quite a few on. Don’t forget to bend the end so the cereal doesn’t fall off the other end. What I love about this activity is that they get excited about feeding the birds ( and dude we have a ton around our yard) and they aren’t thinking about all the great fine motor , hand eye coordination and even counting skills they are brushing up on at the same time. 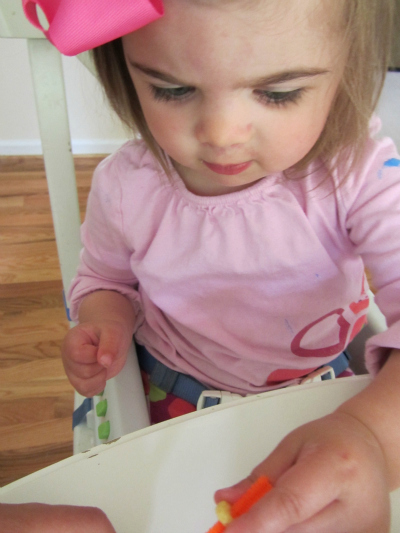 Both of the started counting on their own while crafting. 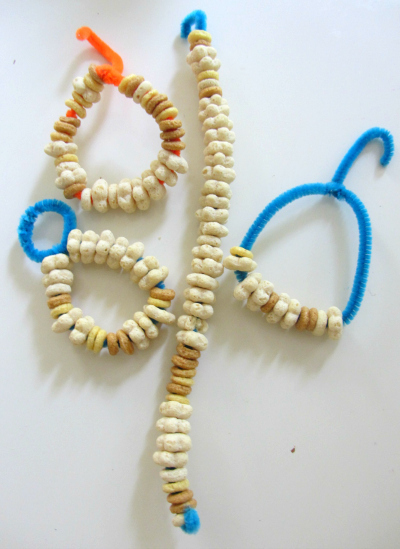 Shape and make sure there is enough pipe cleaner on the end to make a hook. 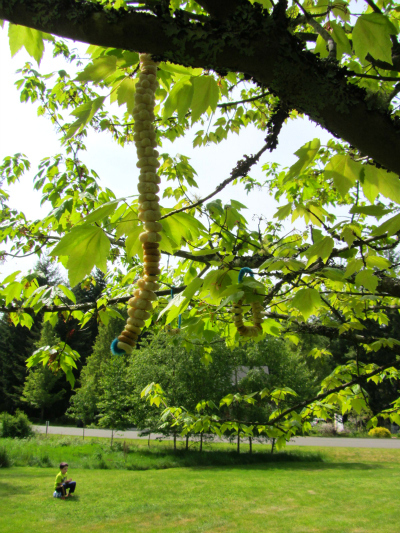 Head outside and pop them in a tree. 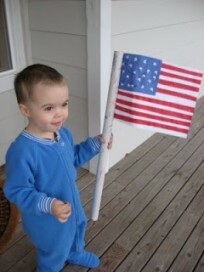 Can you see my son sitting on his soccer ball waiting for me to play after I take the picture. That is our favorite simple summer activity , front yard soccer! Gotta try this one! 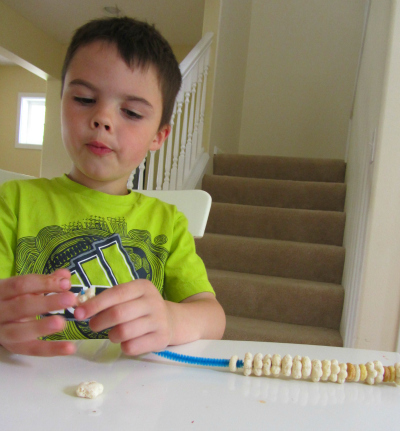 We love making bird feeders at our house too! That’s funny that you have put this up, that was the next craft we were thinking of doing because it is winter down here and the birds are finding the flowers not as common. We were thinking of rolling a pine cone in peanut butter and rolling it in bird seed. Only problem is not sure where I can find a pine cone. 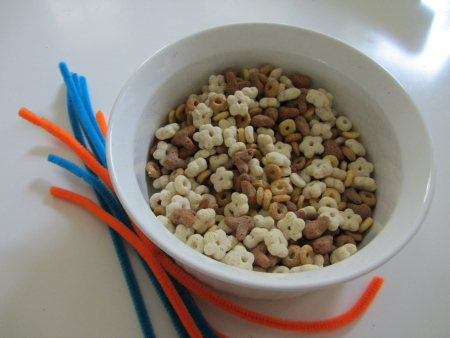 I like the idea of the cereal on the pipe cleaners. Great to see you Jen! I hope you have fun with it. 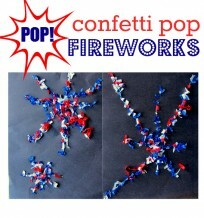 I think I’ll try this with some Bendi- stix (I think that’s how they are spelled) since I have some in my classroom.